In this episode, we looked back at the victory for the Patriots against the Bengals and later on we previewed the upcoming game with the Steelers. This entry was posted in Patriots News, Patriots Podcast and tagged 2016 Patriots Roster, Ben Roethlisberger, Bill Belichick, Brandon LaFell, Chris Hogan, Cincinnati Bengals, Danny Amendola, DeflateGate, Dion Lewis, Dont'a Hightower, Jabaal Sheard, Julian Edelman, LaGarrette Blount, Malcolm Butler, Patriots edge rushers, Pittsburgh Steelers, Rob Gronkowski, Rob Ninkovich, Tom Brady, Vontaze Burfict on October 19, 2016 by Russ Goldman. 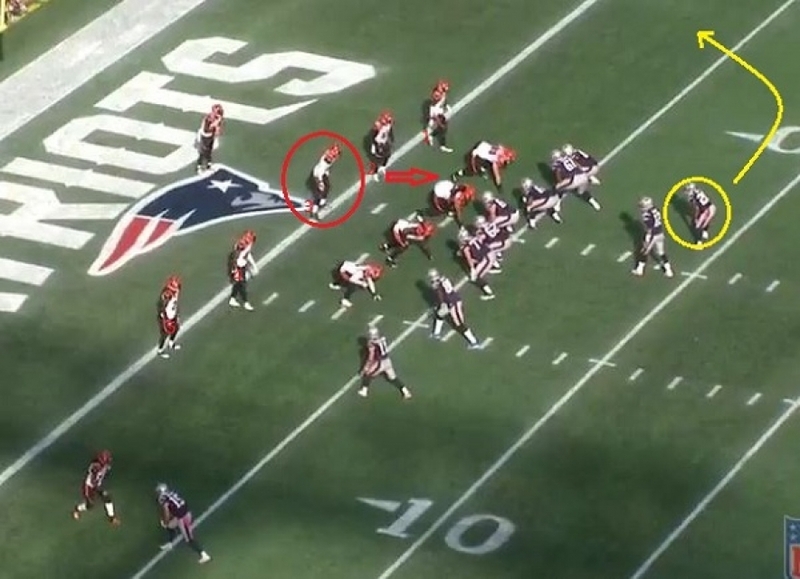 Reviewing this week’s game film from the Patriots win over the Bengals highlights a couple of key plays that led to the victory. Courtesy of the NFL’s All-22 Coaches’ Film we get a nice look at how they were able to do that. The margin between winning and losing in the NFL often comes down to executing a few keys plays at important points in the game. In this case, the Patriots made them and the Bengals didn’t at crunch time and New England came away with a hard-fought win. Here are some of the key plays of the game that allowed the Patriots to come from behind twice to winning by three scores. James White 15-yard TD Reception: Late in the first half the Patriots are down 7-3, but Brady has the team moving after hitting a big 39-yard pass play to Chris Hogan that set the team up for a go-ahead score. The Patriots aligned trips left with three WRs, (Mitchell, Amendola, and Edelman) and TE Rob Gronkowski in-line on the right-hand side. James White is the lone back, aligned next to Brady on the right. The Bengals show their four-man front and have four defenders lined up evenly spaced at the 10-yard line trying to take away the short middle of the field. At the snap, Gronkowski takes his defender straight up the field into the end zone. That clears out a large amount of space for White who drifts out into the right flat. Karlos Dansby has to come over from his position in the middle of the field and doesn’t have the speed to catch White, who had a big advantage in terms of room for him to move at the snap. It was an easy pitch and catch for a touchdown. Dont’a Hightower Sack/Safety: This is the play that ultimately turned the tide and led the way to the Patriots second comeback and one that once they took the lead, they never looked back. The Bengals had taken the lead 14-10 early in the third quarter and after stopping the Patriots offense, had a chance to make it a two-score game. But after getting backed up to the 8-yard line due to a holding penalty, they had the down/yardage against them as well as field position. The Patriots hadn’t been getting pressure on Andy Dalton much to this point, so Matt Patricia started getting a little creative and it paid off. The Patriots align in man coverage with the two safeties deep in the middle of the field. 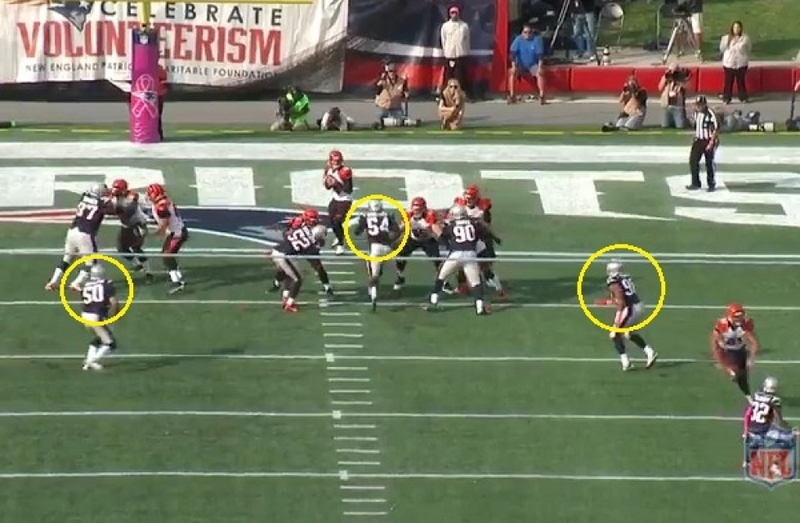 At the snap, both linebackers, Elandon Roberts on the left and Hightower, on the right come on an A-gap blitz. Roberts is picked up but Hightower loops around from his right to left and gets a free lane right at Dalton. But the Patriots rushed just four, at the snap both defensive ends, Trey Flowers and Rob Ninkovich drop back into coverage. Dalton sees it coming and wants to go to his hot route, TE Tyler Kroft. But by dropping, Flowers is in perfect position, right in the throwing lane. Dalton has to pull the ball down and is sacked by Hightower resulting in a safety. Bennett 24-yard reception: After the Patriots got the ball back at their 32-yard line, they were in business with good field position and the opportunity to get back in front. On their first play from scrimmage Brady hit TE Martellus Bennett with a 24-yard pass to put New England on the Bengals side of the field. 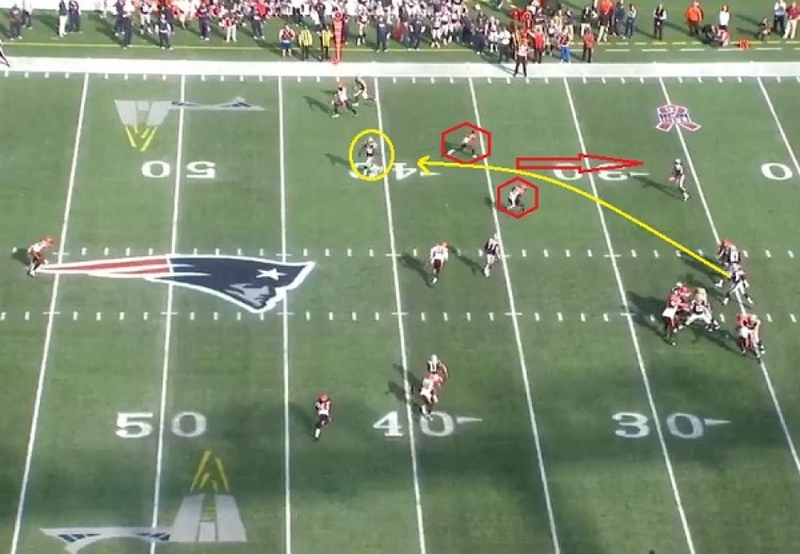 It all stemmed from an excellent fake by Brady that set them up for a big gain. The Patriots go 4-wide with a WR and TE split wide to each side. 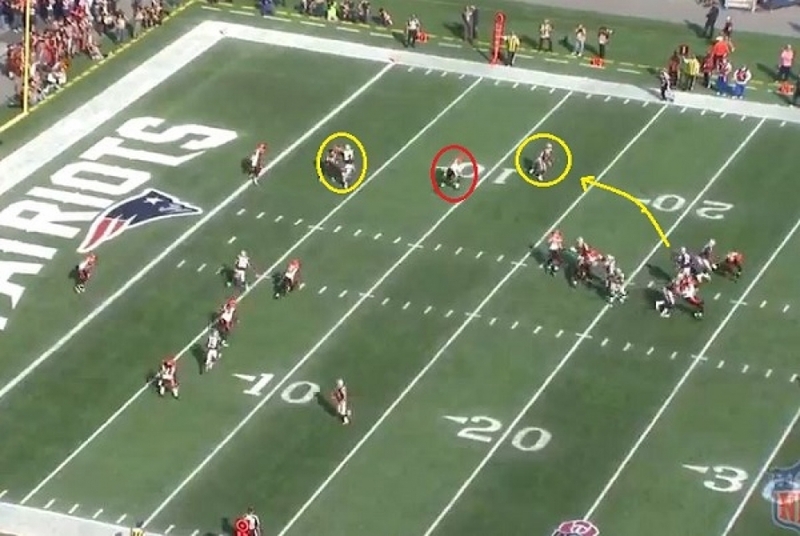 Bennett and Hogan were split wide right and Gronkowski and Edelman wide left. The Bengals again had five defenders, five yards deep trying to take away the short pass across the middle of the field. So Patriots offensive coordinator Josh McDaniels decides to go vertical. At the snap, both receivers on the right run straight down the field. 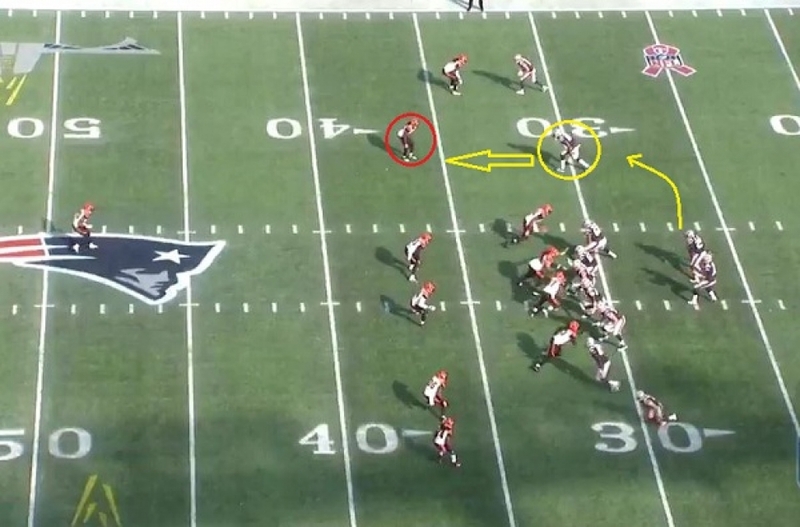 Gronkowski and Edelman on the left run crosses back to the right side. 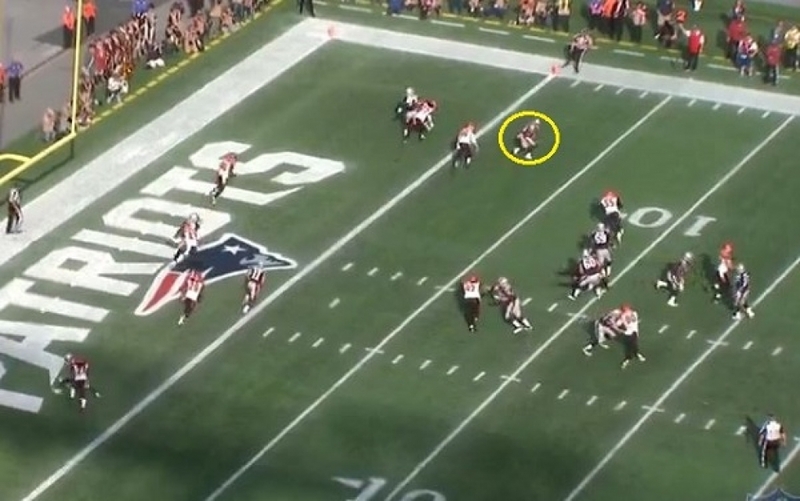 LeGarrett Blount, aligned to Brady’s right side, drifts out in the flat in an attempt to find some open space. Brady did an ever so slight pump fake, more of a shoulder dip, but it works. 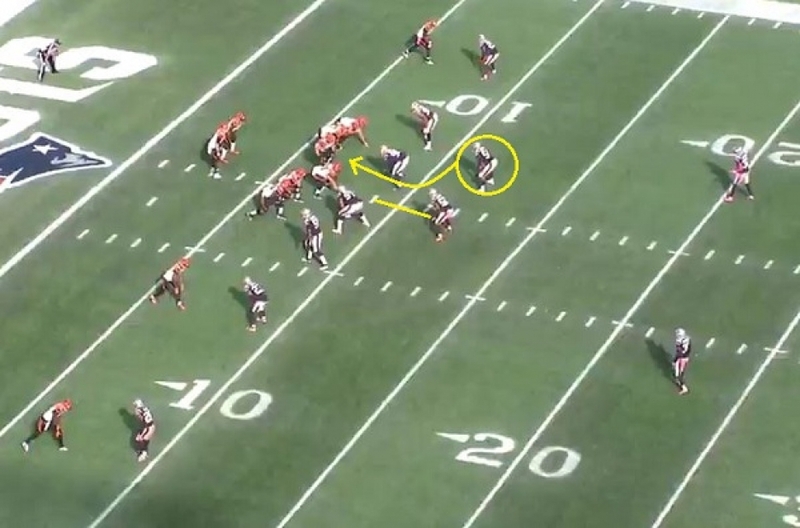 The inside linebacker, Vontaze Burfict and the safety covering Bennett bite hard on the play fake. By the time they stop and recover, Bennett is running free down the field and Brady hits him with a pass at the 45-yard line. Bennett loses his footing but still had time to get up and get another 10-11 yards after the catch. The Pats would score soon after with Gronkowski catching a four-yard score to put the Patriots back on top for good 19-14. James White 4-yard Touchdown: White’s second touchdown pass put the Patriots up by two scores and really put Cincinnati under pressure in the pivotal second half. Once the Hightower safety and Gronk touchdown put the team ahead, the momentum completely flipped and the Patriots began to totally take over the game. The Patriots held Cincinnati to a three-and-out with three straight incompletions after the Gronk score. They took over with a chance to open things up and Brady immediately hit Gronkowski with a huge 38-yard pass and run that set them up. On the White score, the Patriots are lined up with the Trips left again but this time Bennett is in the slot. 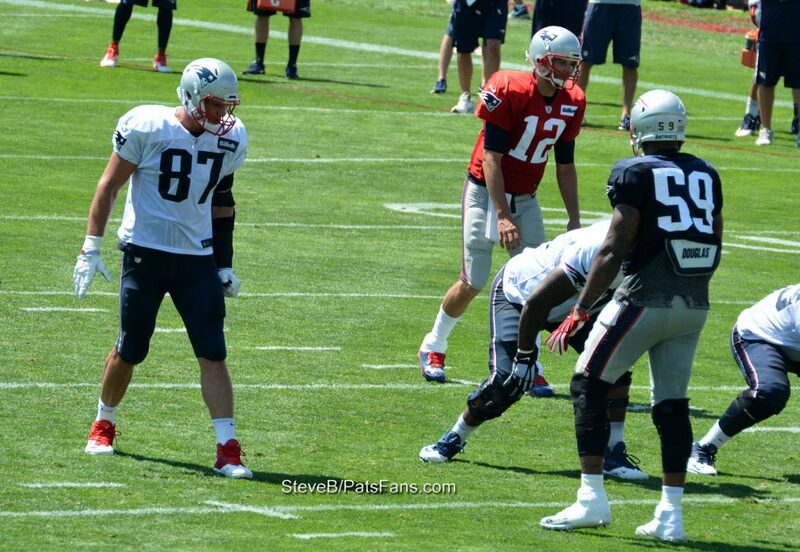 Gronkowski is again inline on the right side just as in the previous formation for White’s early touchdown. The Bengals go with their front four and have the five defenders aligned at the goal line with a deep safety in the middle. Karlos Dansby, (circled) is in the middle of the formation. 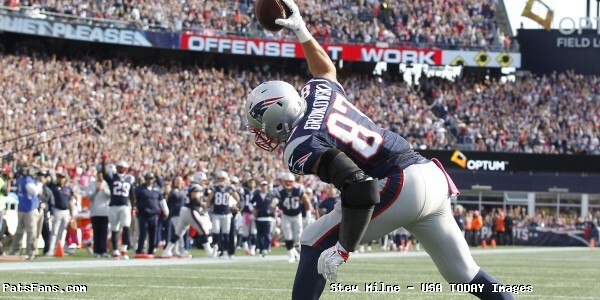 At the snap, Gronkowski takes his defender (Kirkpatrick), deep into the end zone. The nearest linebacker Burfict comes on a blitz and is picked up inside. White flairs out into the flat and Dansby has a tremendous amount of territory to make up and he is not going to get there in time. White has another easy touchdown and it was just another well-designed play by McDaniels and executed by Brady and White. This entry was posted in Patriots Commentary, Patriots Film Room and tagged 2016 Patriots season, Andy Dalton, Bill Belichick, Brandon LaFell, Cincinnati Bengals, Danny Amendola, Dont'a Hightower, Jabaal Sheard, Jimmy Garoppolo, Julian Edelman, karlos dansby, LaGarrette Blount, Malcolm Butler, New England Patriots, Patriots, Patriots edge rushers, Rob Gronkowski, Rob Ninkovich, Tom Brady, Trey Flowers, Vontaze Burfict on October 18, 2016 by Steve Balestrieri. The Patriots are 5-1 after a big come from behind win over the Cincinnati Bengals on Sunday afternoon at Gillette Stadium. They remain a game ahead of the Buffalo Bills in the AFC East. Miami remains three games back and the Jets play tonight. Yesterday’s game wasn’t easy nor always pretty, but the team made the adjustments they needed to make to take home the win. The second half adjustments made it a point to use the Patriots tight ends against the Bengals linebackers in space which turned out to be a big mismatch. The defense as well made adjustments in the second half and played much tougher when they switched from a three-safety look in sub-packages to going with an extra corner in the third quarter. Sunday Eric Rowe made his Pats debut and had a key play defending A.J. Green in the end zone. Tom Brady had some struggles in the first half as the Bengals did a very good job or disrupting the short passing game and getting pressure on him with their front four. But late in the half, Brady heated up and had excellent production from there onward. Brady finished another stellar performance in Gillette completing 29 of 35 for 376 yards and three more touchdown passes. He also completed his 5000th pass during the game becoming only the 4th QB in the history of the NFL to pass that milestone. Brady continues to amaze at age 39, he shows no signs of slowing down and appears as good as ever. His pocket awareness and ability to see the field are unparalleled. System QB? In the four games he was missing, the Patriots passed for 840 yards. In the two games since his return, they’ve passed for 782. LeGarrette Blount had some success running the ball early in the game, but the Bengals really clamped down on the running game in the second half. Blount found the going much tougher as the game went on but still managed to grind out 50 yards in 13 carries, including the one-yard touchdown that sealed the win. He also added two catches for 20 yards in the passing game. James White celebrated a career milestone with his first two touchdown game of his career on Sunday. It is interesting to see all of these players setting career highs with Brady back at the helm, no? He had touchdown receptions of four and 15 yards and totaled 47 yards on eight receptions. He added seven carries for 19 yards in the running game. D.J. Foster was active Sunday but was used just on the kickoff return team. He did have one return for 30 yards. The wide receivers didn’t have big statistical days on Sunday. The Bengals were doing a good job of covering them in the short-medium range and disrupting the timing. Chris Hogan had just one catch but it was a big 39-yard reception that set the Patriots up for their first touchdown. Hogan isn’t getting a ton of receptions but he’s quickly becoming a producer of big plays when he gets his hands on the ball. While he’s caught just 13 passes on the season thus far, he’s averaging 21.2 yards per catch. Julian Edelman chipped in four passes for 30 yards and seems like his normal burst in cutting and changing direction is still not quite 100 percent. He did return one kickoff and three punts for 49 yards including a nice 23-yard return in the fourth quarter. Danny Amendola chipped in with two catches for 30 yards, including a key third-down reception. Malcolm Mitchell played only about a dozen snaps and didn’t register on the stat sheet. Last week we talked about Gronkowski looking like he was finally healed up from his hamstring injury that slowed him thru much of the summer. This week, he was dealing with a case of the stomach flu that caused him to miss Friday’s practice. No worries, Gronkowski turned in a stellar performance catching seven passes for a career-high 162 yards and a touchdown. The big man was unstoppable in the second half as Brady targeted him on the Bengals big and physical linebackers. But they couldn’t match his athleticism. He did get caught up in the foolishness with the antics of Cincinnati, which cost the team 15-yards and a touchdown in the fourth quarter. Martellus Bennett had a quiet first half but picked things up in the second half as well, logging five catches for 48 yards. Once again both tight ends provided very good blocking in the running and at times pass protection games. Gronk and Bennett’s combined numbers a week ago were 11 catches for 176 yards and three TDs. On Sunday, they had 12 catches for 210 yards and a touchdown. Things are trending up with these two. They will cause some sleepless nights in Pittsburgh this week leading up to the game. The team had Marcus Cannon return to action this week. As a result, Shaq Mason returned to RG and Joe Thuney returned to his normal LG position. Facing a very tough and physical Cincinnati front four, the unit had its work cut out for themselves this week. The Bengals are deep and have sub-package players (Michael Clarke, Pat Sims) who can really help out in run support or rushing the passer and the Patriots were pressured in the first half. The OL had troubles all day consistently opening holes in the running game, and they ran for just 79 yards on the day. Brady’s pass protection was a tale of two halves. For the majority of the first 30 minutes, Cincinnati’s pass rush of just their four down lineman were dominating the day. They were forcing him to slide in the pocket and forced him off his spot when he wanted to throw. The second half was a much better effort. Brady had much more time to throw and it showed as he used the tight ends in the passing game and had the time to look downfield more as they tightened things up. The Patriots defensive line was very good in the running game despite Cincinnati having 120 yards rushing on Sunday. Jeremy Hill and Giovanni Bernard combined for 87 yards rushing but did so on 28 carries. The duo averaged just 3.1 yards per carry which the Patriots will take all day long. The remaining yards were on two scrambles from Dalton and two runs by Rex Burkhead in garbage time. The stepped up when they needed to in the goalline stand with DE Chris Long blowing up the 4th down run and allowing Elandon Roberts to fly up and make the play. The pass rush was non-existent in the first half. Once they mixed in a few A-gap blitzes by Hightower, Mingo and Roberts, it loosened things up and they got better pressure in the second half. Moving forward, it is an area that will need to be improved as they move toward the second half of the season. Dont’a Hightower was arguably the player of the game. 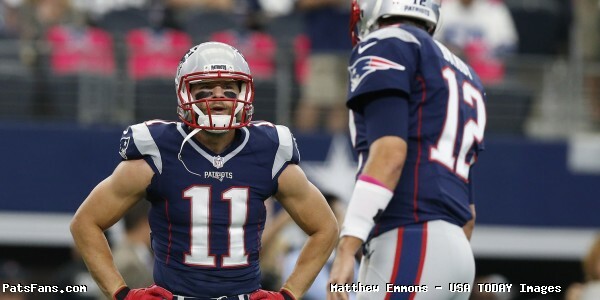 He was fantastic and with the Patriots very shorthanded Sunday, he stepped his game up as leaders must do. With Jamie Collins (hip), Shea McClellin (concussion) and Jonathan Freeny (placed on IR), out this week, the onus was placed on the large shoulders of #54. He responded with 13 tackles, 1.5 sacks and the safety that turned the game’s momentum in the third quarter. 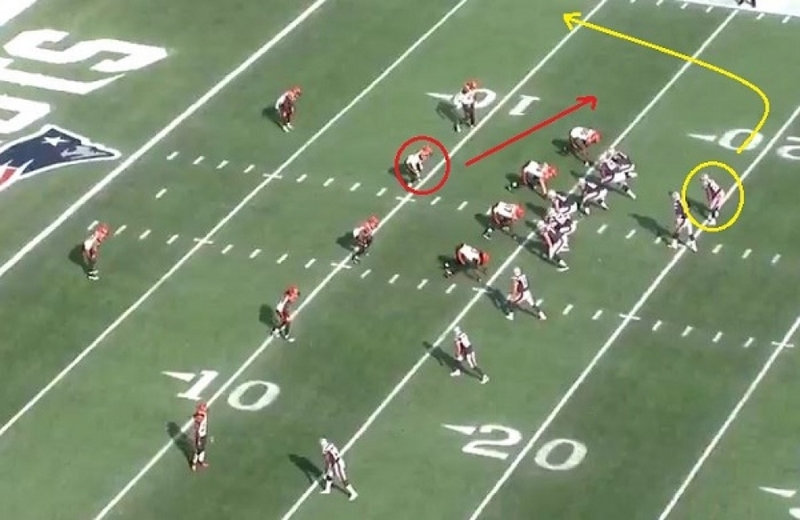 With the Bengals pushed back because of a holding penalty, Hightower looped from his left to his right untouched up the A-gap and sacked Dalton two yards deep in the end zone. The Patriots rallied and never looked back. Elandon Roberts had a very strong game again, showing very impressive instincts and the downhill, physical style that belies his size. He chipped in with 7 tackles. He was injured early in this one but was able to return and played very well. Mingo bit on and was victimized on a double move by Bernard on a wheel route for a big 32-yard gain. 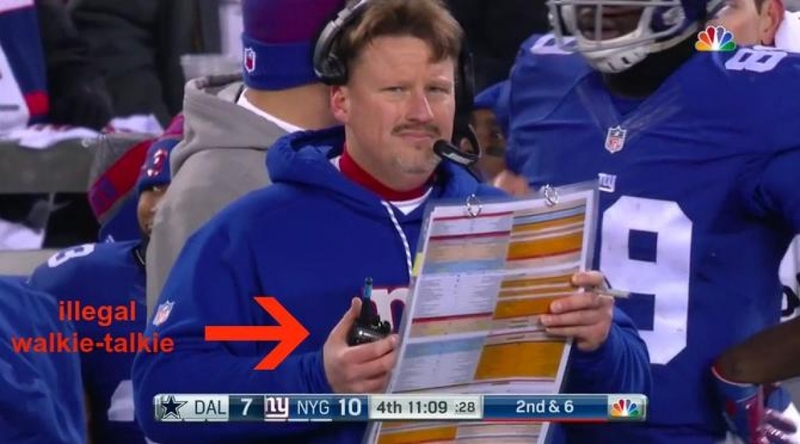 The defensive game plan needed to be changed at halftime. The secondary in their nickel package brought in an extra safety in the first half. That wasn’t working as Dalton was picking them apart. In the second half, the defense switched it up with an extra cornerback and the coverage improved dramatically. Malcolm Butler had a really strong game. When the Bengals targeted him, they were just 3-7 for 14 yards, with a touchdown and 4 passes broken up. He got beat by Brandon LaFell to the inside on the touchdown pass, but against A.J. Green, Dalton only completed 1-4 for 4 yards with two passes defensed. Logan Ryan and Eric Rowe were placed on Green with safety help over the top in the second half and did a great job of slowing him down. He only had a single catch for 9 yards with two passes defensed after halftime. Devin McCourty had another strong game at safety. Pat Chung played in the slot for much of the first half but moved back to a more comfortable position later. Stephen Gostkowski missed another kick this week, an extra point and now the concern with him gets real. He’s already missed more kicks in the first six weeks (four) than he normally does in a season. One has to wonder if Belichick starts bringing in kickers for workouts soon. Ryan Allen was once again a difference maker in the punting game with a net average of 40.3 on Sunday. He did a great job of pinning the Bengals back with punts that either couldn’t be returned or if they were, were of no consequence. His counterpart, Kevin Huber, had a net punting average of 28.7 against the Patriots. A clear win for the Pats special teams. Bill Belichick, Josh McDaniels, and Matt Patricia get high marks for making the adjustments that they needed to win the game. Things were going right in the first half with neither the offense or the defense. They made the changes and took over control of the game. McDaniels changed up the passing game to use the tight ends and target the Bengals linebackers in coverage and it worked to perfection. Patricia changed his nickel packages and after getting burned by Bernard in the passing game in the first half, started to blitz more, forcing Cincinnati to leave him in to block in the second half. This entry was posted in Patriots Commentary, Patriots News and tagged 2016 Patriots season, 53 Man Roster Projection, A.J. Green, Andy Dalton, Bill Belichick, Brandon LaFell, Chris Hogan, Cincinnati Bengals, Danny Amendola, Dion Lewis, Dont'a Hightower, Jabaal Sheard, Jimmy Garoppolo, Julian Edelman, LaGarrette Blount, Malcolm Butler, New England Patriots, Patriots, Patriots edge rushers, Rob Gronkowski, Rob Ninkovich, Tom Brady on October 17, 2016 by Steve Balestrieri. The Patriots made some key adjustments in their play-calling in the second half and the offense took off with Tom Brady, Rob Gronkowski, and James White leading the charge as New England beat Cincinnati 35-17 on Sunday at Gillette Stadium. 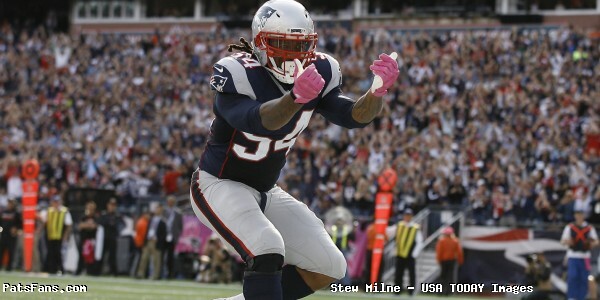 But it was the play of LB Dont’a Hightower who ultimately turned the game’s momentum in the Patriots favor. With Jamie Collins out with a hip injury and Jonathan Freeny placed on IR this week, the Patriots’ big man from Alabama was going to be leaned on for veteran leadership and production. And he didn’t disappoint. His tackle in the end zone on Andy Dalton for a safety flipped the game in the Patriots favor and they never looked back. The crowd was loud and boisterous all day and wanting to see Brady in his first home game since his suspension. Brady followed up his big game in Cleveland with another gem. He completed 29 of 35 for 376 yards and three touchdowns with Gronk having a career day. 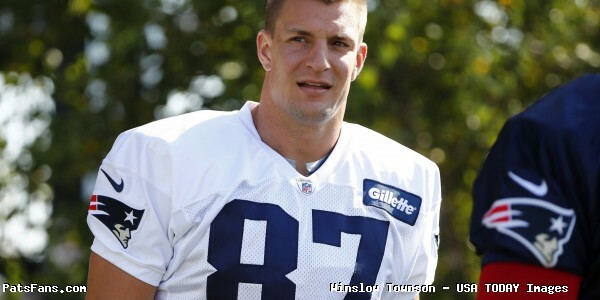 Gronkowski who missed Friday’s practice with the stomach flu was cleared this morning that he’d be good to go. And he was; Brady hooked up with Gronkowski seven times for 162 yards and a touchdown. It was a career high for Gronkowski. It was the second 100-yard effort in a row and the 22nd in his career tying him for third in NFL history. He was virtually unstoppable in the second half. In our pregame keys, we said Gronk and Bennett along with White would be successful attacking the Bengals linebackers in space, something they struggle with. Combined, the three had 20 catches, 257 yards, and three touchdowns. White was another key member of the offense on Sunday, when Cincinnati went all in on stopping Gronkowski and/or Bennett, White made them pay underneath, catching eight passes for 47 yards and two big touchdowns from 15 and 4 yards out. Bennett had five catches for 48 yards. Hightower was immense on Sunday, making thirteen tackles, one of them for a loss and had 1.5 sacks of Andy Dalton. The first was possibly the turning point in the game. Down 14-10 in the third quarter, the Bengals were backed by a holding penalty. On the ensuing play, Hightower came on an A-gap blitz and sacked Dalton in the end zone. On the following drive, New England went right down the field to score and never looked back. The game see-sawed back and forth with Cincinnati outplaying the Pats in the first half and bottling up the Patriots offense. They were able to jam the Patriots short passing game down low, forcing Brady to hold the ball and their front four was getting good pressure on Brady. Meanwhile, Dalton was cutting a swath thru the Patriots defense. Down 3-0, Dalton drove Cincy down the field after RB Giovanni Bernard burnt LB Barkevious Mingo on a wheel route for a big play down to the NE six. But the Pats defense held and on fourth and goal, Chris Long blew up the run to the left side and Bernard was swallowed up by the linebackers and Cincy was stopped on downs. On their next possession, Dalton again was excellent and this time ran it in from the three on an option keeper and the Bengals led 7-3. That’s when the old Bengals demons began to surface. On a third and 18 from deep in the Patriots end at the 17, Dre Kirkpatrick got called on a brutal illegal contact penalty that gave NE an automatic first down. From there, Cincinnati’s defense went to a soft zone. Brady eviscerated them quickly marching down the field, hitting Hogan for 39 yards and then three passes to White, the final one being 15 yards for a touchdown and inexplicably the Patriots led 10-7 at the half. Dalton led another TD drive to give Cincy back the lead 14-10 and stopped New England and had a chance to seize control of the game. But RT Cedric Ogbuehi, who we also identified in our keys as the weak link, was called for holding. That set up the Hightower sack/safety and with the score 14-12, the Pats flipped the script. Josh McDaniels made adjustments and the routes were deeper in the second half, targeting the linebackers and safeties. Brady’s protection was much better in the second half and the offense couldn’t be stopped. Brady led the Patriots on a 68-yard drive on five plays that the tight ends shined in. Bennett caught a big 24-yard reception, followed by a Gronk 38-yarder on a 3rd and 8. Brady hit Gronkowski for a 5-yard touchdown to put the Pats up for good 19-14. On the ensuing drive, Brady once again led the Patriots on a quick 53-yard, 4-play drive, featuring a 38-yard pass reception by Gronkowski and an 11-yarder to Bennett. It culminated with a White four-yard touchdown reception to make the score 25-14, the extra point was no good. The defense stepped up their play in the second half and tightened up their coverage and began to force more pressure on Dalton. Eric Rowe got in his first action and played well. Hightower and rookie LB Elandon Roberts were very impressive all day. After the team’s traded field goals to make it 28-17, Hightower and Jabaal Sheard combined for a big third down sack on Dalton that forced a punt. Julian Edelman made a really nice punt return of 23 yards to past midfield, there Brady drove the Patriots for the final nail in Cincinnati’s coffin with a nine play, 42-yard drive with Blount taking it in for a one-yard touchdown run. Cincinnati then did what they always seem to do in at crunch time, they melted down and started with the cheap hits and the chirping. Gronkowski had words with Adam Jones after he dove at his knees and with Vontaze Burfict as well. Burfict, having just returned from a suspension for dirty play, dove at the back of Bennett’s knees away from the play, and will probably see a Fed Ex envelope from the league next week. Gronkowski fell into that trap and was flagged for the follow-on stupidity. Bottom line, the Bengals are an ill-disciplined lot and nothing will change anytime soon. The Patriots were locked in a tough struggle today, but they made adjustments on both sides of the ball and Brady, in particular, was on fire in the second half. Gronkowski and Bennett were the big recipients of his passes and the Bengals couldn’t stop them. As a result, with Pittsburgh and Denver losing this week, New England now owns the AFC’s best record at 5-1 and that sets up a big game on the road against the Steelers next week. This entry was posted in Patriots Commentary, Patriots News and tagged 2016 NFL Season, 2016 Patriots season, A.J. Green, Adam Jones, Andy Dalton, Bill Belichick, Brandon LaFell, Chris Hogan, Cincinnati Bengals, Danny Amendola, Dont'a Hightower, Giovanni Bernard, Jabaal Sheard, Julian Edelman, LaGarrette Blount, Malcolm Butler, New England Patriots, NFL, Patriots, Patriots edge rushers, Rob Gronkowski, Rob Ninkovich, Tom Brady, Vontaze Burfict on October 16, 2016 by Steve Balestrieri. 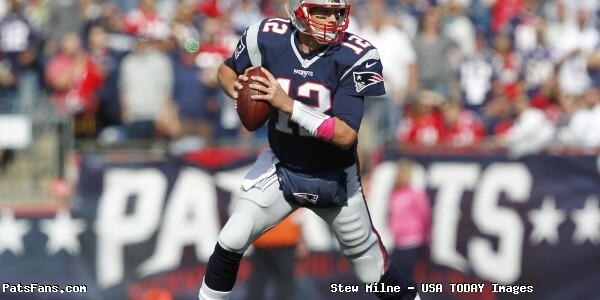 The Patriots return home to the friendly confines of Gillette Stadium this Sunday to take on the Cincinnati Bengals. Kickoff is scheduled for 1:05 p.m. This will be the first home game for Tom Brady since his suspension ended a week ago. 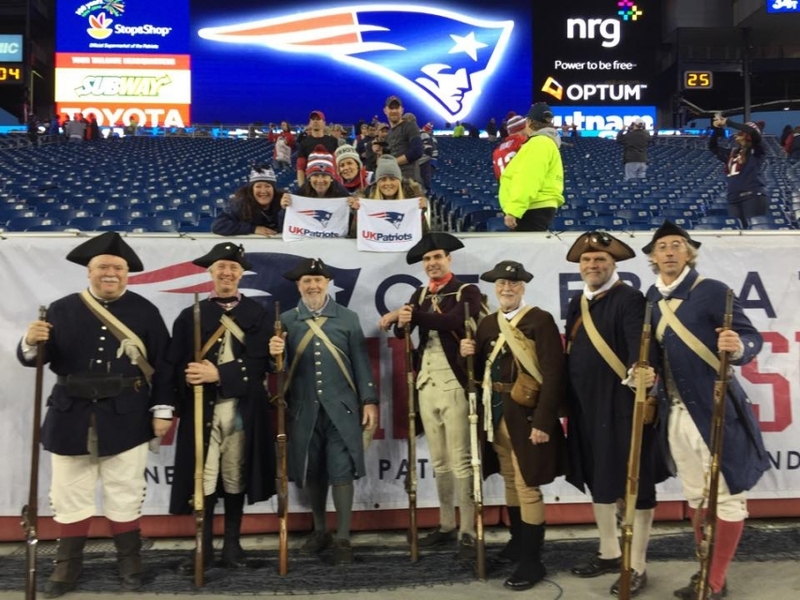 Gillette will be loud and rocking, the Patriots should aim to keep it that way. The opponent this week, the Bengals are coming in wounded at 2-3. Always one of the more talented teams in the league, Cincinnati has struggled to score, especially in the red zone this year, a combination of the injury to Tyler Eifert and the free agency departures of Marvin Jones and Muhammad Sanu have hurt their production. Andy Dalton’s protection has suffered and he’s been sacked 17 times. But their defense hasn’t been as stout as years past as well. The Patriots know that the Bengals will come into Gillette fired up. They need this game and can’t afford to drop to 2-4 in the AFC North. They’ll also remember the last time that they came in here, just two years ago and were wiped out 43-17 on national television. QB Tom Brady: The Patriots QB returned with a vengeance on Sunday in Cleveland and looked to be in mid-season form and not someone who missed the first quarter of the season. Passing for over 400 yards and three touchdowns Brady made quick work of an overmatched Browns defense. This week, he’ll face a much tougher test, as Cincinnati’s defense is much stouter than the Browns and can get after the quarterback. The Bengals front seven is big, physical and aggressive and Brady’s pre-snap reads and reaction time will have to be spot on. The crowd may have an effect on Brady as well. He did a great job of keeping his emotions in check on Sunday and playing a very cool and collected game. With the crowd into it at the start of the game this week, will he be able to check his emotion again or will it get the better of him a bit, at least initially? 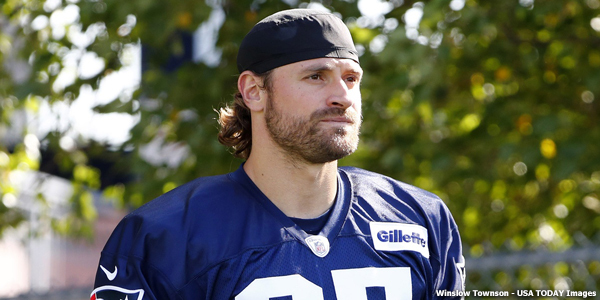 DE Chris Long: Facing the Bengals passing attack with Andy Dalton this week, the Patriots know what they need to do. Dalton has passed for over 1500 yards in five games and has one of the best WR targets in A.J. Green. So to neutralize the deep play threat of him, they’ll need to bring some pressure on Dalton this week. That’s where Long, as well as fellow DE Jabaal Sheard come in. Dalton has been sacked 17 times this year already and his normally stout offensive line has struggled including both tackles, veteran Andrew Whitworth and Cedric Ogbuehi. Long will be going against Ogbuehi and will need to get the better of the 2nd year RT to force Dalton into getting rid of the ball early and possibly forcing him into a mistake or two. The veteran Long has been a good signing thus far, giving the Patriots the veteran presence, outstanding edge setting in the running game and good QB pressure. This week facing another playoff team from a year ago, he’ll have to step up his game and take it to the next level. TEs Rob Gronkowski/ Martellus Bennett: The big men had a fantastic day against the Browns a week ago providing great run blocking and tremendous production in the passing game. Gronkowski, rapidly approaching full health, had five catches for 109 yards including a highlight reel 34-yard completion where he made five defenders miss. Bennett had six catches for 67 yards and three touchdowns. They were a big mismatch for the Cleveland defense, which had no answer for the dynamic duo. This week, they too will be facing a tougher matchup, especially in the running game where the Bengals front seven is vastly superior to that of the Browns. The Bengals linebackers, Vontaze Burfict and Rey Maualuga are big, physical downhill types who can crash the point of attack and disrupt the flow and timing of the offense. But it is in the passing game that the Patriots will try to pressure those two backers. Gronkowski and Bennett have the advantage here as well as with the safeties. Look for them to attack the seams of the Cincinnati defense this week. They will look to isolate the LBs in coverage and may split them out on occasion to create matchups in space. CB Malcolm Butler: The Patriots top corner is getting kind of a raw deal this season. Judging from most of the “evaluation” you see from social media, you’d get the impression he’s having a bad or at least a disappointing season. Nothing could be further from the truth. Jeff Howe of the Boston Herald tweeted out on Thursday that in the last three weeks, Butler has allowed just 4 catches on 14 targets. Those are impressive numbers by anyone’s standards. But if you’re into those fantasy football stats, I guess he hasn’t logged any interceptions. It isn’t known if Butler or Logan Ryan will draw the dangerous A.J. Green this week, but whoever it is, they are sure to have safety help over the top as Bill Belichick always looks to take away the opponent’s biggest weapon. History says that will fall to Ryan. So Butler will draw the task of taking on his former teammate, the big, physical Brandon LaFell. Those two know each other well from practicing against one another for two years. The chess match within a chess match takes on added importance when, if successful in neutralizing Green, Butler will be on his own against LaFell, who has a good size advantage. OT Cameron Fleming: With Brady returning a week ago, all eyes were on him as he performed the usual Brady magic without missing a beat. But one of the things lost in the shuffle was the play of right tackle Cameron Fleming who was filling in for starter Marcus Cannon. Cannon missed Sunday with a calf injury. The fact we didn’t call Fleming’s name very much spoke volumes about how well he played in protecting Brady in the passing game. He allowed just one pressure all day, facing the Browns’ talented rookie Carl Nassib for the most part. Fleming played very well and had good communication with RG Joe Thuney who slid over from the left for this contest. This week, he’ll be facing the very dangerous Carlos Dunlap if Cannon isn’t ready to go. Cannon was listed on Thursday’s injury report as having just limited participation at practice. Dunlap leads the Bengals with four sacks, all of them coming in the past three weeks after having 13.5 a year ago. This will be a key matchup for the Patriots in their passing game. If Fleming can’t handle the assignment on his own and Dunlap brings pressure on Brady, it means the Patriots will be forced to keep one of the tight ends in to help block him which takes away from the passing game. This entry was posted in Patriots Commentary, Patriots News and tagged 2016 NFL Season, 2016 Patriots season, A.J. Green, Andy Dalton, Bill Belichick, Brandon LaFell, Carlos Dunlap, Chris Hogan, Cincinnati Bengals, Danny Amendola, DeflateGate, Dion Lewis, Dont'a Hightower, Jabaal Sheard, Jimmy Garoppolo, Julian Edelman, LaGarrette Blount, Malcolm Butler, New England Patriots, Patriots, Patriots edge rushers, Rey Maualuga, Rob Gronkowski, Rob Ninkovich, Tom Brady, Trey Flowers, Vontaze Burfict on October 14, 2016 by Steve Balestrieri. 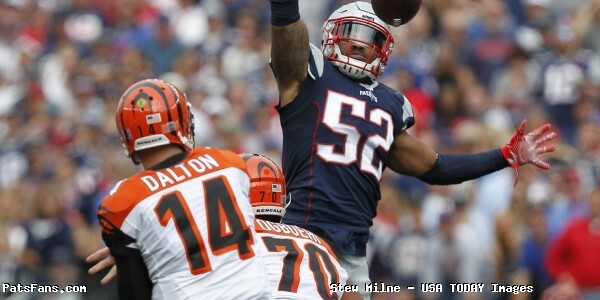 Patriots – Bengals Key Matchups, Who Has the Razor’s Edge? The New England Patriots will play the Cincinnati Bengals on Sunday afternoon at Gillette Stadium in Foxboro. Kickoff is scheduled for 1:05 p.m. The game will mark the first home game for Tom Brady, fresh off of his suspension and the crowd should be fired up for the start of this one. The Patriots (4-1) routed the Cleveland Browns 33-13 on Tom Brady’s return to the field on the road Sunday. Brady threw for 406 yards and three touchdowns, all of them to tight end Martellus Bennett as he and Rob Gronkowski were more than the overmatched Browns defense could handle. The Bengals (2-3) were embarrassed by the Dallas Cowboys 28-14 on Sunday in Dallas. The score wasn’t indicative of the game as the Bengals were essentially blown out and down 28-0 in the second half. The Cowboys ground game churned out 180 yards rushing and rookie QB Dak Prescott was impressive both running and throwing against the Cincy defense. Brandon LaFell scored two late touchdowns for the Bengals making the score respectable. The Patriots and Bengals will meet for the 25th time on Sunday. The Patriots hold an all-time 15-9 edge including a big 9-2 advantage at home. The Patriots beat Cincinnati 43-17 in the famous, “We’re on to Cincinnati” game from two years ago. After being embarrassed in KC and questioned openly by the national press, the Patriots blew out a previously undefeated Bengals team and rode that momentum all the way to a Super Bowl victory. They had tremendous balance in that one with Brady having 285 yards net yards passing and the backs rushing for 220 more. Now Cincinnati is the one struggling at 2-3 and after a bad loss on the road to Dallas, they may be the ones at a crossroad. Since Bill Belichick took over in 2000, the Patriots are 6-2 against Cincinnati with both losses coming on the road. This entry was posted in Patriots Commentary, Patriots News and tagged 2016 NFL Season, 2016 Patriots season, A.J. Green, Andy Dalton, Bill Belichick, Brandon LaFell, Carlos Dunlap, Chris Hogan, Cincinnati Bengals, Danny Amendola, Dion Lewis, Domata Peko, Dont'a Hightower, Geno Atkins, Giovanni Bernard, Jabaal Sheard, Jeremy Hill, Jimmy Garoppolo, Julian Edelman, LaGarrette Blount, Malcolm Butler, Marvin Lewis, Michael Clarke, Michael Johnson, New England Patriots, Patriots, Patriots edge rushers, picks, Rob Gronkowski, Rob Ninkovich, Tom Brady, Trey Flowers, Vontaze Burfict on October 14, 2016 by Steve Balestrieri. The Patriots return home to the friendly confines of Gillette Stadium on Sunday afternoon when they take on the Cincinnati Bengals. Kickoff is scheduled for 1 p.m. This is the second of three straight games that New England will take on opponents from the AFC North. The Patriots (4-1), welcomed back QB Tom Brady as well as DE Rob Ninkovich on Sunday in Cleveland. The offense with their starting QB back behind center clicked very impressively as Brady led them to touchdowns on their first three drives as the team burst out to a 23-7 lead and cruised to a 33-13 win. The Bengals (2-3) are struggling. Last season’s division champion is now facing in what is almost a must-win type situation if they want to repeat. They’re two games behind a Steelers team that is rolling and things don’t seem to be improving. They were blown out 28-14 in Dallas on Sunday, with two late scores making the score appear much closer than the game truly was. Offense Struggling Especially in the Red Zone: The Bengals offense is really struggling early in the 2016 season. The offensive line isn’t playing well allowing 17 sacks and is averaging only 3.4 yards per carry. For a team with Jeremy Hill and Giovanni Bernard, that’s far too low. The Bengals rank 10th in total offense but 25th in rushing offense. Additionally, the Bengals rank 20th in scoring, averaging 18.4 points per game. With Tyler Eifert on the shelf with offseason surgery as well as a back injury, they’ve really struggled to score, most importantly in the red zone. The play calling of Ken Zampese has been criticized as being too conservative and when teams have been able to neutralize A.J. Green the team has struggled. In the red zone where Cincinnati scored touchdowns on 66 percent of their trips a year ago, their scuffling along at 31 percent in 2016. Without Eifert in the lineup, teams are taking away Green and the rest of the cast hasn’t picked up the slack yet. Things showed some improvement this week, albeit late in the game with Brandon LaFell getting his first two touchdowns in a Bengal uniform against Dallas. But this will bear watching this week. Lewis, “This Isn’t Who We Are”: Cincinnati coach Marvin Lewis didn’t shy away from the questions that came after his team looked flat in Dallas and fell below .500 in 2016. While the Bengals defense was gashed for 180 yards by the Cowboys on Sunday, that was more indicative of the level of play of the Dallas OL than it was of the Bengals defense. Still, there are issues that need to be looked at defensively before they come to New England this week. Green is the ‘Must Stop’ Guy This Week: Bengals WR A.J. Green is one of the most dangerous receivers in the NFL. And with the rest of the offense still in search of its game, the Bengals are becoming increasingly reliant on him. It is becoming a case of if he has a monster game the Bengals win if he doesn’t they lose. That isn’t fair, even for one of the most talented WRs in the league. The 6’4, 210-pound 6th year player from Georgia is always a matchup nightmare and will present a very tough defensive key for the Patriots smaller cornerbacks this week. Green dominated against the Dolphins two weeks ago using his size, speed, and physicality where he was targeted 12 times and made 10 catches for 173 yards and a touchdown. Therein lies the challenge; it is never easy but if the Patriots can limit Green’s effectiveness, the Cincinnati offense has struggled. In their two wins, he was targeted 25 times and made 22 catches for 353 yards (16.0 average) and two touchdowns. In Cincy’s three losses Green was targeted 27 times and made just 14 catches for 165 yards and 0 touchdowns. With the Cincinnati offense needing a spark this week, they’ll look to their most talented offensive weapon first, to get him into the game quickly. He had just a single catch in the first half against Dallas as the team fell behind 21-0. Dalton Playing Well Despite Struggles: There never seems to be a shortage of criticism leveled at Andy Dalton who, despite having solid seasons playing in the tough AFC North, is still looking for his first playoff win. Dalton had the best year of his career in 2015 before going down with a thumb injury that cut short his year. And he’s playing better in 2016 despite not having his biggest and best red zone target in Tyler Eifert. He’s attempting and completing more passes in 2016 than he did a year ago. Part of the issue is that with the struggles of the running game to get untracked, he’s been forced to throw more. But his accuracy is up and his interception rate is down. Thru the first five games Dalton is completing 67.4 percent of his passes (126 of 187), for 1503 yards, 8.0 yards per attempt, with five touchdowns and two interceptions for a passer rating of 96.4. After losing productive wide receivers Marvin Jones and Mohammad Sanu this offseason, the WR unit has struggled to find their rhythm beyond A.J. Green. But at the end of last week’s game, Dalton found LaFell for a pair of scores that could foretell of a turning point for the offense. Cincinnati Front Four Poses Tough Challenge: While the unit was gashed by the Cowboys on Sunday, don’t let that influence the fact that this is a very tough physical front four. Carlos Dunlap, Geno Atkins, and Domata Peko spearhead an excellent group that not only can stop the run but get after the passer as well. They also have Margus Hunt and the talented reserve sub-package rusher Will Clarke who has three sacks already this season. They’ll be looking to redeem themselves this week and we all remember how disruptive they can be. When the Patriots visited there in 2013, they held New England to just six points in a big victory. While the Patriots will look to remain balanced, or close to it with LeGarrette Blount running the ball this week to keep the defense honest, this will be a tough unit to run on. One caveat from a week ago, not many teams have an offensive line like the Cowboys. They’re also backed by the very physical MLB in Vontaze Burfict who returned two weeks ago from a suspension and is a downhill, spark plug for the front seven. This entry was posted in Patriots Commentary, Patriots News and tagged 2016 NFL Season, 2016 Patriots season, A.J. Green, Andy Dalton, Bill Belichick, Brandon LaFell, Carlos Dunlap, Cincinnati Bengals, Domata Peko, Geno Atkins, Giovanni Bernard, Jeremy Hill, Julian Edelman, LaGarrette Blount, Margus Hunt, Marvin Lewis, Michael Clarke, New England Patriots, NFL, Patriots, Rob Gronkowski, Tom Brady, Vontaze Burfict on October 11, 2016 by Steve Balestrieri. The Patriots got off to a very slow start especially defensively falling behind 11-0, before rallying for a 23-22 preseason win over the Chicago Bears on Thursday night at Gillette Stadium. Jimmy Garoppolo played impressively on Thursday, completing 16 of 21 passes for 181 yards and a touchdown with no interceptions. His best work came late in the 2nd quarter as he ran the two-minute drill with precision and coolness directing the Patriots on a touchdown drive to put the Patriots up at halftime. 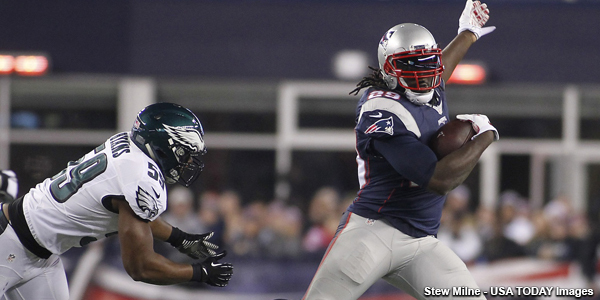 LeGarrette Blount had a very solid game, looking his best this summer, Blount finished with 11 carries for 69 yards. The play of the offensive line and fullback James Develin definitely helped matters. Blount is a vastly different runner when he’s able to hit the line of scrimmage running. He showed excellent vision, good decisiveness and appeared much quicker than the player who struggled a week ago against New Orleans. Garoppolo wasn’t supposed to get the start as Tom Brady was slated to play the first series. Bill Belichick told 98.5 the Sports Hub an hour before the game that all three QBs would play. But Brady never made it onto the field for warmups giving speculation that the team had changed their mind about his playing. It was later learned that Brady sliced the thumb on his throwing hand on a pair of scissors. He supposedly was trying to clear his cleats of something stuck on the bottom of them when he inadvertently cut himself. Pressed after the game for details, Belichick told Ben Volin of the Boston Globe that he made the decision to only go with two QBs on the day. Defense Struggles to Get Off the Field Early: The Bears were shut out a week ago in their preseason opener against Denver but didn’t look like that team in the first quarter. Jay Cutler put together a pair of good drives to put the Bears up 11-0 early. Cutler drove them down the field in their opening drive before a solid play by reserve defensive lineman Anthony Johnson stopped the drive. Johnson coming in as a sub-package pass rusher, deflected the pass at the line of scrimmage on third down in the red zone forced the Bears to settle for a field goal. The opening sequence much like the joint practice on Tuesday began, with Cutler and the Bears picking on cornerback Justin Coleman. He gave up back-to-back big pass plays of 29 and 12 yards to put Chicago in business. After a three and out opening drive by New England, Cutler drove the Bears down the field again. The Patriots were unable to stop the Bears on third down picking up penalties in the secondary by Coleman and Pat Chung that negated third down stops. Cutler mixed up the play calls nicely and they finished off their touchdown drive with some nice running by Jeremy Langford, taking the ball in from five yards out. It wasn’t the look the defense was looking for. Jimmy G., Offensive Line Get it Together: The Patriots offense mixed it up and had better balance overall in Garoppolo’s time on the field. They ran the ball 12 times in 45 snaps and as mentioned above were getting a good push up front. They used run-heavy formations with Develin and Cameron Fleming as an extra tight end to get things moving. Garoppolo put together a nice drive that stalled inside the Bears 10-yard line when Brandon Bolden fumbled. Bears cornerback Tracy Porter stripped Bolden of the ball and recovered to end the threat. It was a poor play by the Pats STs standout, by not switching the ball to his outside hand and not covering it up with two hands when getting tackled. But the offense had found their footing and the Patriots would put 17 points up in the second quarter. It was nearly 21 but a superb goal line stand by Chicago forced the Patriots to settle for a field goal. On a key third down, Lamarr Houston fought off a Joe Thuney block and stopped Tyler Gaffney on third down. On the ensuing drive, LeGarrette Blount finished off a good drive by powering it in from the one-yard line to give the Pats their first score of the game. That set the table for Garoppolo’s fine work in the final two minutes. Using the two-minute, hurry-up offense, Garoppolo looked cool and decisive, leading the Patriots to a seven play, 57-yard drive that culminated with a very impressive 16-yard touchdown pass to TE A.J. Derby. Jimmy G. fired the ball into a very tight window for the score and followed it up with a two-point conversion to Chris Hogan to put the Pats up 17-11 at the half. Johnson, Jones Picks Up Defense: After an inauspicious start, the Patriots defense picked up their collective play, holding Chicago to zero yards in the second quarter after allowing 129 in the opening stanza. In fact, the Bears didn’t pick up a first down after the first quarter until there was less than a minute left in the third. Missing many of their top edge rushers on Thursday including Rob Ninkovich, Jabaal Sheard, and Shea McClellin, the Patriots looked to the interior pass rush and Johnson definitely provided a spark. The second year 6’2, 295-pound tackle from LSU has been quiet most of the summer. Battling some nagging injuries, he hasn’t shown much until this week against the Bears in joint practices. He flashed briefly in some limited opportunities and then exploded on the scene in the game. The Patriots used him as an interior pass rusher and he displayed some nice explosion off the ball and was a constant disruptor inside. He and Trey Flowers combined for a sack to end one drive and Johnson who was signed in May after being released by Washington had his best work on Thursday night. Cyrus Jones provided the Patriots with their only turnover on defense. The rookie corner perfectly read the comeback route of wide receiver Deonte Thompson and jumped it. He easily picked off QB Brian Hoyer’s pass. While it wasn’t all good, including the final Bears drive where the secondary allowed a receiver to get behind them on a broken play on the final play of the game, the overall impression of tonight was positive. The defense rebounded and played well after a slow start. The offense under Jimmy Garoppolo looked strong despite missing many of his primary weapons. It’s now on to Carolina. This entry was posted in Patriots Commentary, Patriots News and tagged 2016 Patriots Roster, 53 Man Roster Projection, Bill Belichick, Brandon LaFell, Danny Amendola, Dion Lewis, Dont'a Hightower, Jabaal Sheard, Jimmy Garoppolo, Julian Edelman, LaGarrette Blount, Malcolm Butler, New England Patriots, NFL, Patriots, Patriots edge rushers, Rob Gronkowski, Rob Ninkovich, Tom Brady, Trey Flowers on August 19, 2016 by Steve Balestrieri.